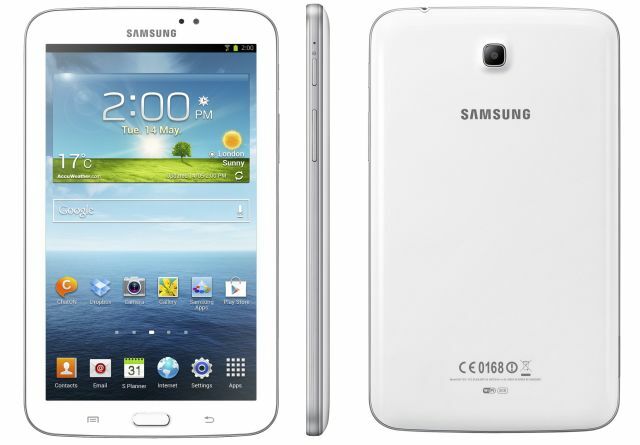 Samsung Electronics announced its new 7-inch tablet, Galaxy Tab 3. Samsung Galaxy Tab 3 has 1.2 GHz Dual Core Processor, 7-inch WSVGA (1024 x 600 PPI) Display, 1 GB RAM, 3 MP Rear camera and 1.3 MP front camera. Galaxy Tab 3 runs on Android 4.1 Jelly Bean. Galaxy Tab 3 comes with 8/16 GB Internal Memory and it supports MicroSD card for up to 64 GB. Samsung took lesson from Galaxy Tab 2 and now features thinner bezel so that you can hold the tablet comfortably with one hand. The tablet will be available in Wi-Fi and 3G variant. The Samsung Galaxy Tab 3 Wi-Fi Version will be available globally beginning May and 3G version will follow in June.